D'Alembert system of placing bets is particularly popular amongst the roulette gamblers. This betting system has many names. It is called as well "montant et demontant", "negative progression system", "insurance betting system" and "pyramid system". Jean-Baptiste le Rond d'Alembert is the author of this popular betting system. 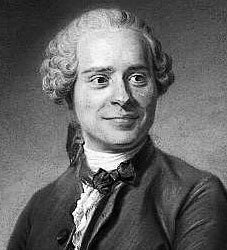 D'Alembert was a talented French mathematician, physicist and philosopher of the 18th century. Since very childhood Jean had an inclination to education. He liked law and theology very much. But with time his interests changed and he began to study physics and mathematics. D'Alembert is famous not only for the invention of the betting system named after him, but mostly for the well-known "EncyclopÃ©die, ou Dictionnaire raisonnÃ© des sciences, des arts et des mÃ©tiers". This popular roulette betting system is based on an equilibrium theory worked by Jean-Baptiste d'Alembert. The theory says that there are more chances to win after a loss and more chances to lose after a win. We can say in other words that the described system depends on the gambler fallacy. D'Alembert system, like Martingale system, implies placing the even-money bets (outside). This system is good for those roulette gamblers who want to minimize their losses. The application of this system is rather simple for beginners and also for advanced gamblers. After the loss there is a need to add one chip to the next bet. After the win the gamblers should deduct one chip from the next bet. Many gamblers are really fond of the d'Alembert betting system. It helps to protect their winnings when they return to the previous betting amount after the winning bet. All types of roulette betting cannot fully protect against the loss. And the d'Alembert system is not the exception. The risk of losing streak presents always.